This building was erected by the Presbyterian parishioners of Kildonan under the active supervision of their minister, James Nisbet. Known as Kildonan School, this simple stone structure was opened on July 12, 1865. It featured a main room accommodating up to 80 pupils and a smaller back room for special classes in advanced subjects. In 1871 the first Manitoba College classes met here while awaiting the completion of the separate college building. In later years it became the home of the Kildonan Literary Society and the centre for many community and social functions. Closed and abandoned in 1905, the building was renovated in 1919 and Nisbet Hall, as it came to be known, served as a parish meeting place until vacated in 1969. 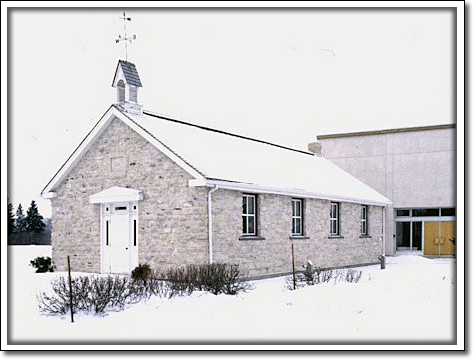 The building was moved to its present site in 1987 and restored as a part of Kildonan Presbyterian Church.